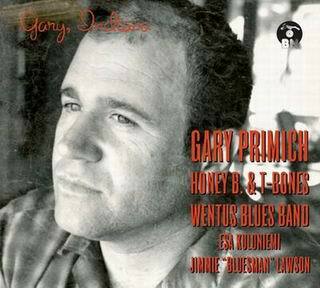 Gary Primich & Wentus Blues Band recorded live at Cantina West in Helsinki March 1st 2002. Personnel: Gary Primich: vocal, Harmonica; Niko Riippa: guitar; Kim Vikman: guitar; Robban Hagnäs: bass; Mikael Axelqvist: drums; Antti Sjöberg: vocals; Mixed by Clas Yngström; Introduction speak by Calle Lindholm. Tracks 9-11 recorded live at Kaivohuone, Helsinki in May 1991 by Tom Vuori. Track 12 recorded live at Tullikamari, Tampere in May 1991 by Tom Vuori. Personnel: Gary Primich: vocal & amplified harp; Aija "Honey B." Puurtinen: bass; Ismo Puurtinen: drums; Esa Kuloniemi: guitar. From the 1992 album Maantiekiitäjät - Finnish-Texan R&B Music. (Seal On Velvet Records). Recorded by Timo Hietala at Pannuhuone Studios and by Jaakko Suomalainen at Soundtrack Studios March-May 2006. Personnel: Esa Kuloniemi: multiple slide guitars; Gary Primich: acoustic harmonica; Timo Hietala: electric piano, synth bass & drum programming. From the 2006 album The Legend of Bicycle Bronson according to Esa Kuloniemi (Bluelight Records). Recorded at Puurtinen-Kuloniemi household by Esa Kuloniemi during one of Gary's numerous visits in Finland. Prob. July 1997. Gary Primich, born in Chicago in 1958, spent his early years in Gary, Indiana. Like Michael Jackson, who was born the same year in Gary, they both performed in the black blues clubs of Gary and Chicago, although this took place in different decades. Gary Primich had a chance to jam with many of the old blues legends in Chicago's famous Maxwell Street – Johnny Little John, Sunnyland Slim, Byther Smith, L.V. Banks, John Henry Davis, Lefty Dizz and Little Nick & the Ghetto Kings, just to mention a few. Seeing and listening to Big Walter Horton, one of the all time greatest blues harp players, advanced Gary's development into a top notch player himself. The competition for gigs was hard in Chicago in the 1980's. Funk and rock had started to influence the blues and it made Gary to think about moving neighborhood, which he did in 1984. He moved to Austin, Texas. A university city, Austin offered more opportunities for gigs and the local atmosphere was receptive to various forms of roots music. Houston and Dallas had a rich blues tradition and Gary soaked up loads of influences from blues and rhythm'n'blues to jazz, country and western, honky tonk and western swing. Gary listed Jerry McCain, Gene Ammons, Grant Green, Speedy West, Smiley Lewis, Clarence Garlow, Richard Groove Holmes and Ernest Tubb as his biggest favorites. Gary used to say: "All music and artists that I love end up finding their place in my own style. All the different small bits and pieces that I like find their way in my playing. But in my opinion the most important thing in blues is uniqueness. I have never sounded the same as others. My goal is to be unique."  (Check out the full interview with Gary Primich [in Finnish] in Blues News Magazine No. 6-2006). In the 1980's and 90's many bands from Texas and California toured the Scandinavian countries, Norway, Sweden, Denmark and Finland. Those were good times for live music! There were several blues, rock and jazz festivals and also many clubs all over Finland. Roots music was well suited for different occasions, and booking agencies were actively bringing bands to Finland Gary Primich toured Scandinavia each year in the late 1990's and performed extensively in clubs and at festivals. I met Gary at a blues festival in Loviisa in Southern Finland in 1989 during his first trip to Finland. He was then touring with Mannish Boys. The band played blues and rock'n'roll, following in the footsteps of the very popular Fabulous Thunderbirds. I recall how Gary and his unique way of harp playing stood out already back then. He had developed a unique style of his own based on various different influences over the years. It was very easy to get acquainted and have a talk with Gary. He was sincere, open and talkative. I was immediately taken by his wide knowledge of roots music. That night, Mannish Boys had a club gig in a local restaurant, and I loaned my Bassman harp amplifier to him. Before the gig Gary was excited like a little boy when hearing the names of his fellow artists who had played to Finnish audiences in previous years: Fabulous Thunderbirds, James Cotton, Junior Wells, Rod Piazza, William Clarke and James Harman. That year the Loviisa Blues Festival hosted also Pepe Ahlqvist with his then band H.A.R.P., Tortilla Flat and of course Honey B. & the T-Bones, who play with Gary on this album - Their friendship goes a long way back. Next time, Gary, already in his solo career, came over to Finland in 1991. He recorded a CD called "Maantiekiitäjät" with Honey B & the T-Bones and they also toured together around Finland. Gary's solo career had had a great start in Austin, where he had made a record deal with the Amazing label. Gary won five times consecutively the best harp player prize in Austin. Rovaniemi Roots'n'River Festival of 1997 was very special to Gary as he had the opportunity to meet one of his mentors from Gary, Indiana – Nate Armstrong, who performed at the festival with Big Daddy Kinsey & the Kinsey Report. Gary played at many festivals and clubs with his own band but also with Omar and the Howlers, Honey B & the T-Bones and Wentus Blues Band. He also visited his good friend Esa Kuloniemi's blues radio show a couple of times. These shows demonstrated his deep knowledge of the blues tradition and his good sense of humor. I will miss Gary's colorful stories, his deep laughter and his lively presence. Like many musicians who tour a lot (Gary played over 200 gigs per year) he found it difficult to find a balance between family life and his career. Being away from the family caused him bad conscience and made the hotel rooms feel like empty, lonely places. Gary Primich honored the blues tradition like Paul Butterfield had done before him. Gary was a strong personality, always in search for a style of his own which he then never hesitated to follow. Unfortunately, it all ended much too soon. He died at the age of 49 in September 2007. Gary Primich had numerous loyal friends in Finland. This CD contains sessions recorded live and in the studio with the Finnish bands, Honey B & the T-Bones and Wentus Blues Band. I recommend you to listen to other Gary Primich recordings: Mr. Freeze, Company Man, Dog House Music and Riding The Dark Horse. Don't forget his many session recordings with Candye Kane, Omar, Nick Curran, Steve James, Tish Hinojosa, Doyle Bramhall and Esa Kuloniemi. With this tribute CD let's toast to the great Gary Primich!